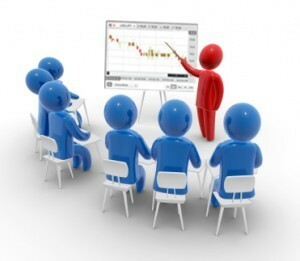 Having a proper forex training before actual trades are made goes without saying. In order to become the best trader you can possibly be, it’s important to possess certain information and be able to use it fast. Of course, you must know how to interpret a chart or to use the right technology for trade execution, buy some other factors play their parts as well. We already tackled Trading Psychology and Forex Risk Management in previous two guides, time to outline everything in one article and give you the forex training you deserve. Never try to take revenge on the market. You will have losses, that is for sure, so be mentally prepared for them. When you lose, never enter another trade just to make up for the losses. Instead, enter another trade only when the rules of your strategy are met and if technical and fundamental analysis agrees. I strongly suggest to step away from trading if you are having a bad day and lose more than three trades in a row. Be a disciplined trader. Being a disciplined person allows you to be a disciplined trader and that is an absolute requirement for success in this business. Let’s say that you have a profitable strategy and you follow good money management rules. One day, you get 4 winners in a row and you start thinking that you cannot be defeated by the market. Then, you decide it’s time to disobey your money management rules and you double your position size. Unfortunately, the market reverses against your position and you lose all the profits made that day. Now frustration sets in and you think that the last trade was just a fluke and that you must trade more to make back the profit that you lost. Wrong decision after wrong decision! The last trade also goes south and you end the day with a loss. A disciplined trader would never act this way, he would never disobey the rules of his trading system. After all, he knows that system will make him money in the long run and he doesn’t throw it out the window just because he had a winning row. Do not fear the market. Try to accept the loss before placing the trade. This way, you will not fear the outcome because you already accepted the fact that the worst can happen. I’m not saying “don’t respect your money”, just that you cannot let a loss turn you into a fearful trader who is afraid to place his next trade. When you are hesitant, you begin making wrong decisions; maybe you decide not to take the next trade, but that is the winning one and you missed it because you were afraid. Don’t follow your gut, follow your system. Read also our tips for money management in Forex trading. Finally, we advise you check out what Investopedia has to say about trading psychology.